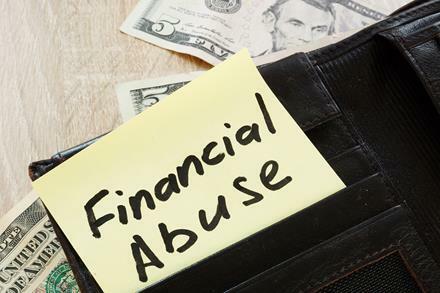 Financial elder abuse can be extremely harmful. While this type of abuse does not cause physical harm to seniors, it can quickly take away the assets and property for which they have worked so hard, harm their loved ones who are beneficiaries, and even take away their dignity. Someone gets close to an older adult and then begins to exercise undue influence over the senior for their own financial gain. The influencer may convince the senior to make them the beneficiary on important accounts, update a will to favor them and exclude intended beneficiaries, put them on property deeds, and more. A professional, such as an attorney, financial planner, accountant, business partner, or investment broker, abuses their position of trust for their own financial gain to the detriment of the senior and their estate. A stranger engages in a fraudulent scheme to steal a senior’s identity or otherwise get access to their accounts and finances. These are only some examples of how financial elder abuse can occur. Before you know it, such abuse may deplete a senior’s financial accounts or result in estate distributions that go against the senior’s intentions. If you discover that financial abuse occurred after a victim passes away, it can be an extremely difficult process to raise a legal dispute, prove the abuse, and hold the abuser accountable for losses to beneficiaries. Instead, you should always be aware of the signs of when financial elder abuse is occurring in order to address the situation as early as possible. If you notice any red flags or suspicious financial activity or losses, do not hesitate to raise your concerns. It is better to address the matter and face an awkward situation instead of ending up in a contentious legal battle after the fact. If you suspect a loved one is the victim of financial elder abuse, do not hesitate to discuss the situation with the elder law attorneys of Goldfarb Abrandt Salzman & Kutzin LLP. We can help evaluate the situation and advise you of your options. If you need to bring a will contest or another legal dispute after a loved one’s death, we can represent you and help protect your rights. Call today at (212) 387-8400 or contact us online for a consultation.